Are 304 & 316 Stainless Steels Magnetic? | Meyer Tool & Mfg. - Meyer Tool & Mfg. Both 316 and 304 stainless steels are austenitic; when they cool, the iron remains in the form of austenite (gamma iron), a phase of iron which is nonmagnetic. The different phases of solid iron correspond to different crystal structures. In other alloys of steel, this high-temperature phase of iron transforms to a magnetic phase when the metal cools. The presence of nickel in the stainless steel alloys stabilizes austenite against this phase transition as the alloy cools to room temperature. As a result, a relative permeability of K ∼ 1.002 to 1.005 are typically reported for 304 and 316 stainless steels in their annealed state. This corresponds to a somewhat larger magnetic susceptibility than we might expect for other nonmagnetic materials, but is still well below what might be considered magnetic. This does not mean that you should expect to measure such a low susceptibility on any item of 304 or 316 stainless steel that you encounter. For example, values of K∼1.8 have been found in randomly selected 304 SS fasteners. Any process which can change the crystal structure of stainless steel can cause austenite to be converted to the ferromagnetic martensite or ferrite forms of iron. These processes include cold working and welding. It is also possible for austenite to spontaneously convert to martensite at low temperatures. To complicate matters further, the magnetic properties of these alloys depend on the alloy composition. Within the allowed ranges of variation of Ni and Cr, significant differences in magnetic properties may be observed for a given alloy. What can be done to minimize the magnetization of stainless steel components? "Ferrite free" welding rods are available to minimize the tendency of welds to become magnetic. In principle, a welded or machined component can be annealed to restore it to its nonmagnetic state, although this is not always convenient. Selecting a 316 stainless steel with nickel content that is in the upper side of the allowed content range may also be helpful, but again, may not always be practical. The 316N stainless steel alloy is expected to have less of a tendency to become magnetic than 316 or 316L, however, it may not be readily available. Additional shielding with materials such as MuMetal can be integrated into the design. MuMetal has unique fabrication properties that must be taken into account to minimize the possibility of increasing its magnetic properties. Meyer Tool has the experience and skill to ensure that the end product will meet your desired specifications. Probing a 316 stainless steel weldment or machined structure with a magnet or a susceptibility meter can produce surprising results given that this alloy is considered nonmagnetic. A small deposit of ferrite in the weld on an outer vacuum vessel of a high field magnet is unlikely to be of concern. However, even a minute amount of ferromagnetic material is likely to be unacceptable in the sample holder of a nuclear magnetic resonance probe. This is a case where aluminum or copper should be employed for metal parts. ​At Meyer Tool, we have extensive experience fabricating sensitive equipment with Stainless Steel and Aluminum. We are aware of the magnetic properties of these alloys and we stand ready to assist you in reducing project risk by choosing the best alloy and the best process to achieve the desired outcome. 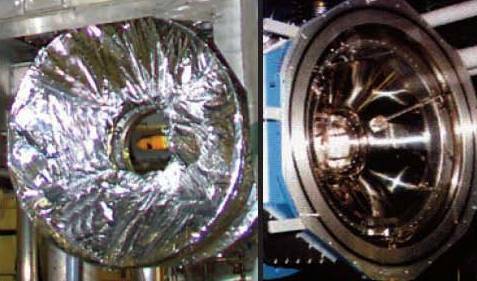 Dewars and support structures for superconducting magnets used in magnetic resonance applications require minimal magnetic interference in order to function properly. A good example project would be the fabrication of a Superconducting Helmholtz Coil Pair intended to produce a highly uniform central field. Magnetic material near the bore of these magnets would distort this field. 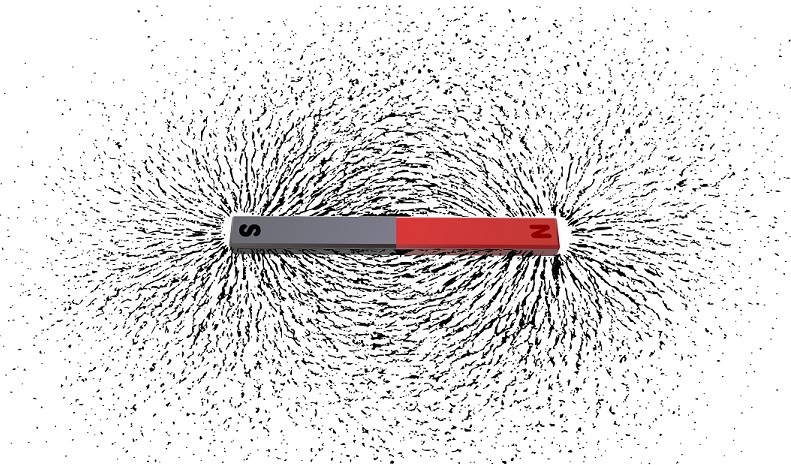 Magnetic susceptibility is the degree of magnetization of a material in response to an applied magnetic field.